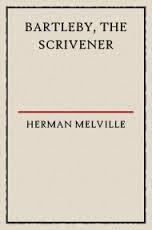 Herman Melville’s Bartleby, the Scrivener takes us back to nineteenth-century New York, where an amiable lawyer makes a comfortable living in the bustling American metropolis. While his office is a step up from its Dickensian equivalents, it’s still rather dingy and devoid of sunlight, and our friend’s description of his work environment, and the two-and-a-half men who assist him, feels very familiar to those raised on all things V-Lit. Bartleby, the Scrivener is a short tale, but one that’s very cleverly constructed. The set up is almost Trollopian in its introduction of a comfortable backdrop to the story, one shattered by the entry, and mystery, of the new clerk. The book is, however, fairly controlled in scope, almost play-like at times, with most of the action taking place in the office (although action might not be the most appropriate word here…). Quietly spoken, this firm refusal has the effect of a bomb going off. The other clerks are disgusted at the newcomer’s cheek, and the lawyer, never having anticipated such a reaction, finds himself simply unable to cope with the situation. Bartleby, then, is an enigma, an unfathomable new element in the office. While tempted to consider him a lazy rascal, his employer soon realises that he’s nothing of the sort – he’s simply unable and unwilling to accept tasks which, for whatever reason, he has no desire to undertake. Without raising his voice, or even an eyebrow, he spreads an atmosphere of passive resistance throughout the chambers, a force of nature which the poor lawyer is powerless to resist. The great point was, not whether I has assumed that he would quit me, but whether he would prefer to do so. He was more a man of preferences than assumptions. Kaggsy – A very clever book, indeed (and now you know why I read it!). This is so far ahead of its time – its surreal qualities and savage satire (at least that’s how I interpret it) reminds me of The Room by Jonas Karlsson, which I read at the beginning of 2015. It wasn’t marketed that much, for some reason.They did organise a prize for best animation to promote the book, which are rather fun to watch.